This weekend kicks-off college football season. On one hand, I'm not super pumped about spending every Saturday from now through December watching football, I do love me a good tailgate. We aren't headed to any of the games this weekend, but I've already started making a list of my go-to tailgating recipes for the season. These recipes are always a huge hit and are super easy to tote to the game. If there's anything left (and there usually isn't), you can just toss the leftovers. I love tailgating food that doesn't have to be kept hot or cold because it's easier (i.e. not gross) to leave out all day, but there are a few hot recipes that are too hard to pass up. Even though we'll be at home this weekend, we usually have a few snacks around the house to have our own little version of a tailgate from our couch. I may whip up one or two of these ideas for us to have here. 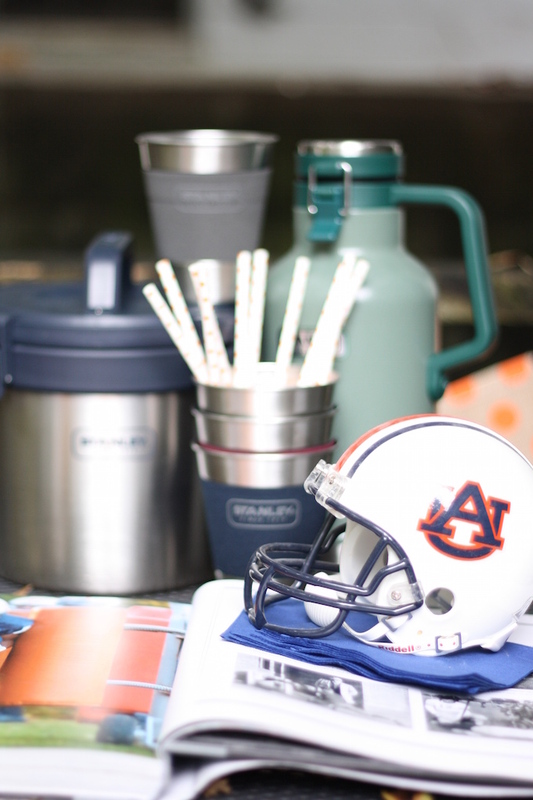 What are your go-to tailgating recipes? Would love your secrets!